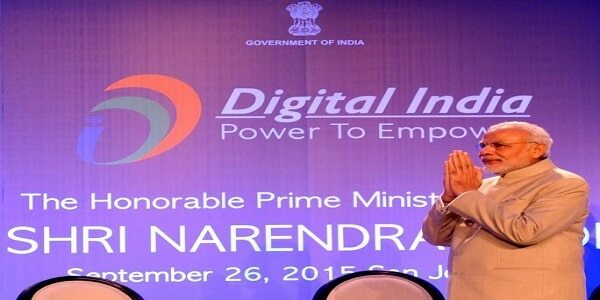 Current Indian PM Mr Narendra Modi had led the foundation of Campaign for Digital India stand in the country. In one of the biggest and recent push for Digital India mission, Government has launched 23 new programs to empower Indians with Internet and Technology. While inaugurating the new programs, Shri Ravi Shankar Prasad, the Telecom Minister, asked all states to work with these visionary programs, and move ahead to empower the nation. 1) National Centre of Geo-Informatics: With a budget of Rs 98.28 crore for three years, Govt. will develop an enhanced, advanced National Centre of Geo-Informatics. It will be one of its kind GIS platform for sharing and collaborating GIS data source and location-based analytics that will aid central and state governments in planning, decision-making and electronic delivery of services. 2) Payment Bank by India Post: By March 2017, India Post will launch its own Payment Bank across India. In this project, many top financial institutions including World Bank and Barclays have shown interest to become a partner. 3) Data Centre for NIC at Bhuwaneshwara: A new and fully featured 40,000 square feet Data Centre would be launched in Bhuwaneshwara for National Informatics Centre (NIC); which would be fully cloud-enabled. A budget of Rs 189 crore has already been allocated for the project. Announcement of Pan India Free Incoming Roaming Facility for MTNL Customers from New Year. Launch of Post-Terminals (Rural ICT – RICT) – handing over Post Terminals to rural Post Masters.